If you live in Southampton and need a professional new website designed, we're perfect for you. Toolkit Websites is a well-established brochure-style web design company based in Southampton for 18 years, before recently moving to Havant. We have built long-term relationships with successful local Southampton businesses over the years and proudly promote the Hampshire Trading Standards Buy With Confidence award for our commitment to passionate customer service. We take pride in our customer service and are rewarded with happy clients who stay for years and excellent reviews to be proud of. We look after over 2,000 diverse website clients throughout the UK. After starting a small business web design company in Southampton in 1999, Toolkit Websites owner Marcus Green, who was based in Southampton and studying at Southampton University at the time, now represents a thriving business with a large client base of loyal clients. Passionate service is a huge buying factor for nearly every business, whether they are local or at the other end of the country. We love what we do and take great pleasure in providing our clients with first-class customer service at all times. We're now one of the best rated web designers in the industry, with hundreds of positive reviews on Trustpilot, placing us neatly at number one for CMS website design. We're also 5-star rated on Google, Yell, WWDC and more! If you're looking for a web design company in Southampton, get in touch today to start discussing the perfect website design package for your business. Web design case study for Mexigo based in Southampton. Mexigo is a small franchise with restaurants across the south. Being right on their door step we were first choice for designing their fantastic new website. Our website designers based in Southampton are often found eating lunch at Mexigo and loving every minute of it! Southampton website design case study for Change of Style. A well established company in Southampton, which has accumulated many years of experience in the stonework industry with Granite and Quartz Worktops. Our Southampton website designers worked closely with Change of Style to create a powerful design with a mobile website version and the result looks fantastic! Universal safety offers a fully licensed workshop facility in Southampton with the latest in service tools and dry air compressors to ensure all rafts are serviced and certified to the highest level possible. Driven by the clients' needs, this web design clearly promotes the company's services in an elegant and professional design. Finding a web designer in Southampton was high on the agender and Toolkit fit the bill perfectly. Web design case study for Suzie Carley based in Southampton. Suzie offers a service that includes bespoke, made to measure dress making, tailoring and of course alterations. 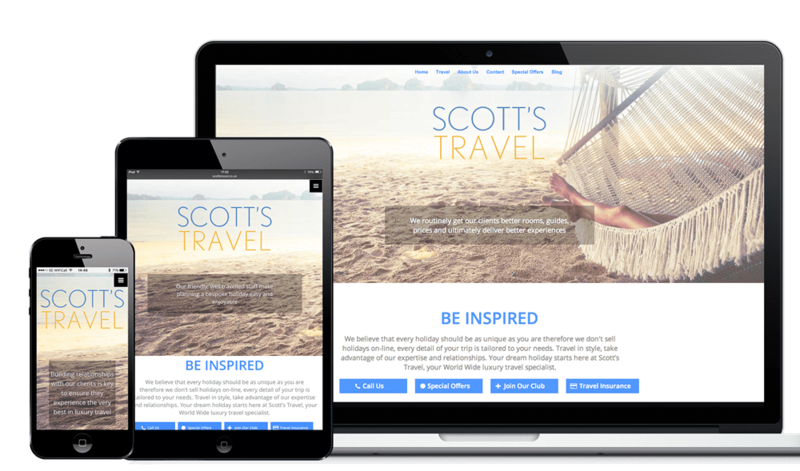 As a web design company in Southampton, we were short listed and soon found ourselves designing a beautiful website for Suzie. The end result works perfectly for her business. Optimum Insurance services is a southampton-based commercial broker, providing commercial motor, Courier Insurance, Hire and Reward Insurance and Fleet Insurance. With 10 years experience specialising in commercial Motor specifically commercial fleet, courier, hauliers and truck, they have a unique understanding of Risk and work with a panel of insurers that share the same view. Classicfire web design Southampton case study. Classicfire is based in Southampton and specialises in the service and supply of all types of fire extinguishers, fire blankets, alarms, safety signs, risk assessment and on site training. Up against every web designer in Southampton, we were first choice for Classicfire and have worked together for over 12 years! This is the latest redesign on our responsive web design platform. Website design case study for Proscan in Southampton. Proscan is a local scanning specialist who offer scanning, archiving, printing and secure shredding. Finding a professional web design company in Southampton was also very important for this local company. After a few conversations about design and ideas, it was clear Toolkit and Proscan were a perfect match. The end result is exactly what Proscan needed. If you're based in Southampton and looking to get a professional website designed by a trustworthy local company, get a quote today! The best choice for Southampton businesses - Get in touch today!